These cupcakes were sweet vanilla and cookies and cream. 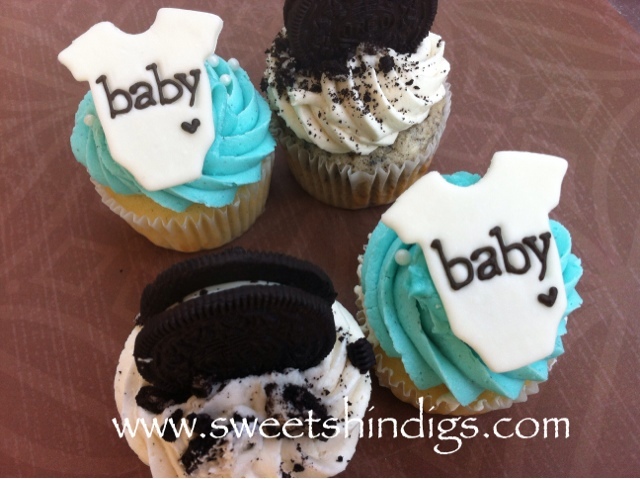 The cookies and cream cupcakes were topped with an Oreo cookie, and the sweet vanilla cupcakes were topped with a white fondant onesie. 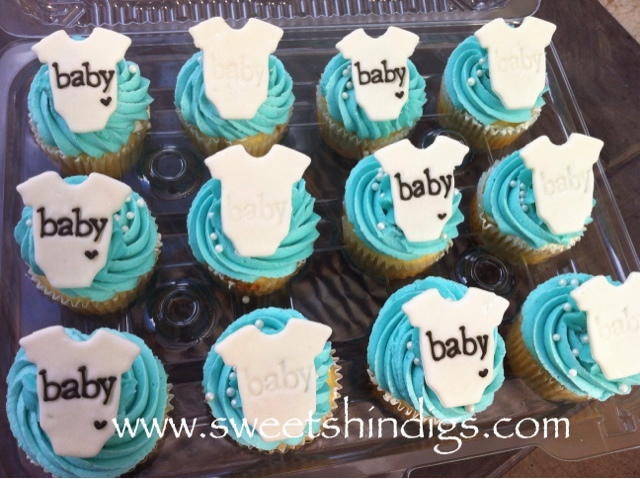 I stamped the word "baby" on the onesie and then traced some of them with brown icing.